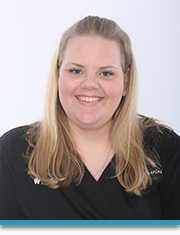 Katherine has been working for Dr. Nisco since 2014. She loves walking her dog, Knox, with her husband, Cory. She enjoys reading and taking her niece shopping. She dislikes avocados and the entire office doesn’t know why. She has an amazing personality and brings laughter to the front office. When you come to visit, Katherine will be the first one to greet you with a smile! 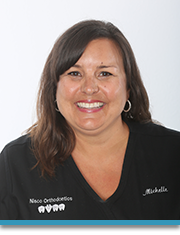 Michelle had been working with Dr. Nisco since 1995. Michelle is our new patient Treatment Coordinator; her attention to detail makes her a core member of our team. While away from the office, Michelle enjoys spending time with her husband, Chris, and their two sons, Connor, and Cantor. Their family loves relaxing in their boat together and going for long dirt-bike rides. Sue has been working with Dr. Nisco since 2006. She works in the front office as scheduling coordinator and helps with patient finances and insurance reimbursement. Away from the office, She and her husband, Rob, spend many hours at their three boys, Chad, Troy, and Luke’s multiple sports activities. Sue also enjoys reading, traveling, camping, and spending time with family and friends. 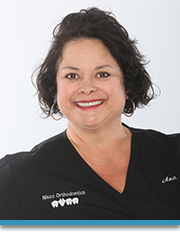 Ana has been working with Dr. Nisco since 1988. She has been a true inspiration to the office and continues to work periodically as a Registered Dental Assistant, filling in when she is needed. She loves to shop, attend Angel’s games, vacation at the river, and spend time with her friends and family. 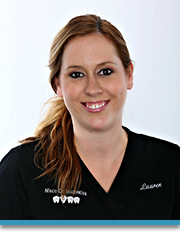 Lauren has been working with Dr. Nisco since 2010. She works in the back office as a Registered Dental Assistant and enjoys making her coworkers and patients laugh! She loves spending time with her husband, Sean, doing outdoor activities like hiking, kayaking, or biking at the beach. She recently went to Thailand for her honeymoon and cannot wait until she gets the chance to travel other places. 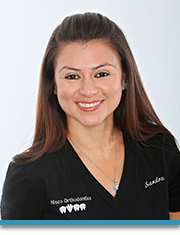 Sandra has been working with Dr. Nisco since 2014. She work’s in the back office as a Registered Dental Assistant and enjoy’s coming into work everyday and being a part of a team of individuals dedicated to providing patients with a unique orthodontic experience. Sandra like’s to spend her free time with her husband, Josh, and her baby girls, Brielle and Arianna. She likes going to baseball games, the beach, shopping with friends, and going to the movies to watch romantic comedies. 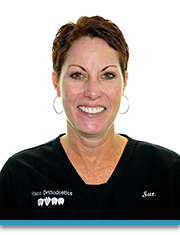 Jaime has been working in the dental field since 1988 and orthodontics since 1995. He has one daughter named Mya who is his pride and joy! He loves hanging with his family on the beach during the summer and watching movies during the winter. 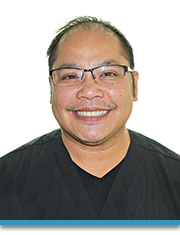 He is happy to join our team at Dr. Nisco’s to help create beautiful smiles! 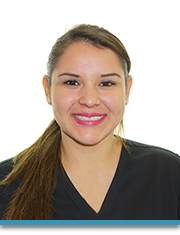 Yesenia has been working for Dr. Nisco since 2015. She loves spending time at her parent’s house with her husband, Leodali, and little sisters. Yesenia is very sweet and always has a smile on her face! She is a wonderful asset to the Nisco’s team and is ready to brighten your day with her dazzling personality! 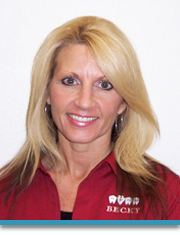 Shellie is a Registered Dental Assistant and has been working with Dr. Nisco since 2002. She finds great satisfaction in serving patients and making a difference in their lives. She enjoys keeping a close relationship with the patients and seeing the transformation in patients’ appearance and confidence. Shellie loves spending her free time with her husband Dean and children. 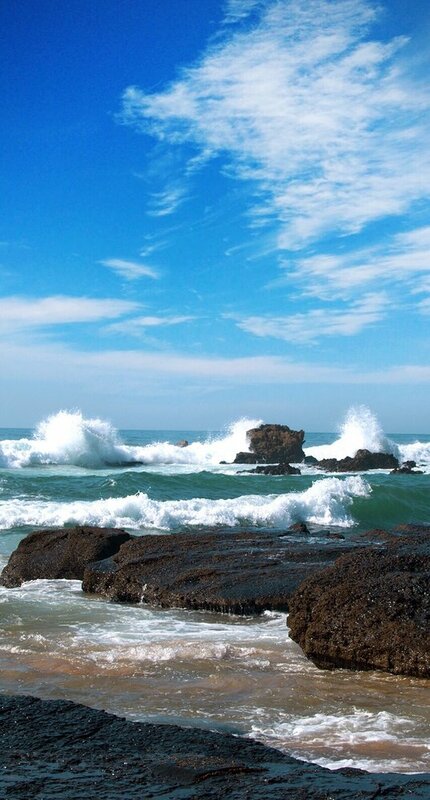 They enjoy going to the beach, camping, going to the river, or just relaxing at home. 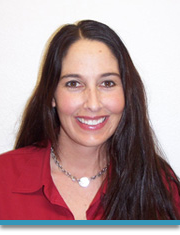 Becky has worked for Dr. Nisco since 1988. During her tenure she he has worked many of the positions in the office. She started as a back office Registered Dental Assistant and now serves as Scheduling and New Patient Coordinator. Becky has been a mountain resident for 35 years. She has been happily married to her husband for 25 years. She also has three sons and together the family enjoys camping, vacationing in their Lake Havasu home, and an occasional trip to Hawaii.